Rachel is a seventeen year old senior and honors student at Rumson Fair Haven Regional High School (RFH). She has had a passion for acting, singing and dance since she was very young. Rachel studied various genres of dance including hiphop, jazz, tap and contemporary for many years. 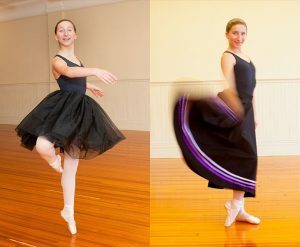 Rachel feels very fortunate to dance with Monmouth Academy of Ballet because classical ballet is the essential foundation for all other types of dance. She has studied ballet and pointe, including the Royal Academy of Dance curriculum, at the academy with Miss Ellen for three years. She studies voice at Middletown Art Center with Broadway Actress and Vocal Coach, Marcy DeGonge Manfredi. Rachel is a member of the Tower Players, RFH’s theatre troupe, and is co-president of the International Thespian Society at RFH for 2016–17. In addition to her school plays, Rachel loves to perform in community and regional theater. She has had featured dance/ensemble roles in “West Side Story” and “Joseph and the Amazing Technicolor Dreamcoat” at the Axelrod Theater in Deal, “Music Man” with Phoenix Productions at the Count Basie Theatre in Red Bank, and Cabaret for Life’s “Smokey Joe’s Café” at Monmouth University. After graduating high school, she plans on pursuing a BFA degree in Musical Theater and aspires to work on Broadway. Rachel would love to be cast in a musical such as An American in Paris—to combine her love of musicals and ballet—this would be a dream come true.